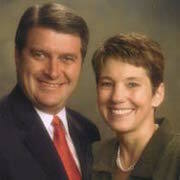 Wendy C. Top is the coauthor of several LDS doctrinal books with her husband, Brent L. Top. Their titles include Beyond Death’s Door, Finding Inner Peace, Finding God in the Garden: Planting, Pruning and the Plan of Happiness, and Making the Sabbath a Delight. With Barbara Lockhart they wrote Protecting Against Eternal Identity Theft. Wendy also wrote Getting Past the Labels: How the Truth Makes Women Free. She served with her husband while he presided over the Peoria Illinois mission of The Church of Jesus Christ of Latter-day Saints from 2004 to 2007. They are parents of four children. This page was last edited on 5 January 2018, at 22:08.